The significance of Ukraine is far beyond what the mainstream press has dared to even portray. This is how Empires, Nations, and City States eventually collapse. There have been protesters gone missing. Some have resurfaced only with stories of being tortured. Some politicians have tried to distance themselves from President Viktor Yanukovich realizing this guy is dangerous and will not leave office. Yanukovich in turn came out and threaten to destroy them. In effect, there is no direct translation for what he said, it is like using a steam roller and flattening them into the road. The riot police are most likely NOT even Ukrainian – they are NOT the local police. No one actually knows where these thugs came from, but they appear to be mercenaries perhaps from Russia. The local police are now starting to side with the people outside of Kiev and realize they are not the thugs involved suppressing the people of Ukraine. There is historically always a serious problem whenever government tries to use police and troops against the people. 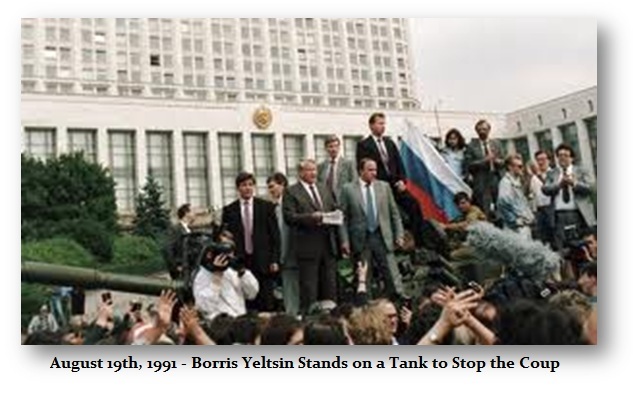 Yeltsin became famous for standing on the tanks and telling the army not to shoot their own people. This is a very critical lesson from history. The famous Nika Revolt of 532AD in Constantinople saw the precise same pattern. The local police and military troops were not defending government. The Emperor called in a legion stationed outside the city that were not native to that region. That eliminated the serious problem of not killing their neighbors and some 30,000 protesters were slaughtered. There are two directions historically that unfold in this process and we need to pay close attention to Ukraine for here is the fate of Europe and the United States in a petri dish. The world economy crashes always from the peripheral regions and it spreads back to the core. Thus, we are seeing this patter in Ukraine and rising civil unrest in Europe. This trend will eventually hit the USA starting as early as 2016. The second trend is when a nation is moving into revolutionary collapse internally. Here we find the division of loyalties emerges. 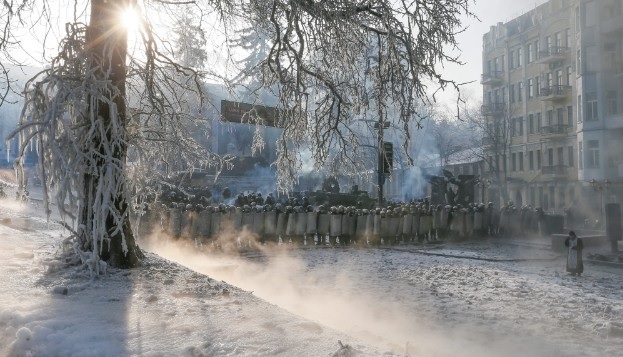 The Ukrainian protesters need the strength and might of the police against the mercenaries. If they can gather the support of the police and military against Yanukovich, then they stand a chance to take their country to real freedom. There is a significant difference between the “free economy” in Russia v that in Kiev and what is truly at stake here. In Moscow, there are big restaurants ONLY all own by Oligarchs. In Kiev, you have small stores are independent people with their own livelihoods. The Communist State of Russia where government-owned everything has merely been replaced with Oligarchs. There is no real small entrepreneurship to speak of. You cannot compete against the Oligarchs. Read carefully the report on the Nika Revolt. There too, there were Senators that sought to overthrow the Emperor. The foreign troops sustained the government and they were exiled. The same patter has emerged with politicians from Yanukovich’s own party are abandoning him. This is a great sign and if the protesters could possibly get organized with leaders who are smart rather than just pretend politicians, Ukraine could be free at last.